Trump is clearly a part of occult societies himself. He uses symbolism in his photos. Now we don't know whether he is a child fucker occultist or a normal occultist, but the guy knows about magic. You Qers need to tread carefully here. The guy is not a bona fide Jesus only Christian. He is someone who knows older teachings. Every elite does; and some may be good people who do normal magic, but others are child fucker cannibals, so you need to be careful in ascertaining who Trump actually works for. I'm gonna keep spamming these links until you learn to read beyond the obvious. There are many factions here, not just one or two. Trump is clearly a part of occult societies himself. He uses symbolism in his photos. Now we don't know whether he is a child fucker occultist or a normal occultist, but the guy knows about magic. You Qers need to tread carefully here. The guy is not a bona fide Jesus only Christian. He is someone who knows older teachings. Every elite does; and some may be good people who do normal magic, but others are child fucker cannibals, so you need to be careful in ascertaining who Trump actually works for. https://www.wanttoknow.info/secret_societies/hidden_hand_081018 https://www.scribd.com/doc/403303/The-Revelations-of-an-Elite-Family-Insider-2005 I'm gonna keep spamming these links until you learn to read beyond the obvious. There are many factions here, not just one or two. Thank you for speaking up. The mod won't defend this sub so we will have to do it ourself. Just as we must trust in ourselves and not the mods, Qers must understand that they must trust in themselves and not an external saviour (Trump). Why is this a sticky? It is propaganda! Q is a pro-trump controlled revolution psyop. Q is a pro-trump controlled revolution psyop. Nailed it. Happy to see so many of you waking up to this. >Q is a pro-trump controlled revolution psyop. Nailed it. Happy to see so many of you waking up to this. High production value. It cost at least $20k to produce (I'm in the business). But I found this video to be manipulative and dishonest, frankly. Pure propaganda. Sounds more like the outline of a fiction novel or movie. It was entertaining, though, so I upvoated. Buddy I live in Hollywood and work in show biz. You can get something like this made for $100 lol. I agree with the rest of your post, but don't spread misinformation brother. so you in the " biz" huh? I'm curious to know ...is there any general opinion amongst your coworkers / Colleagues on the subject of Pizzagate? Anything exposing the pedophiles is a good thing in my mind. And you get downvotes for that WTF? That I have to agree with, 100%. 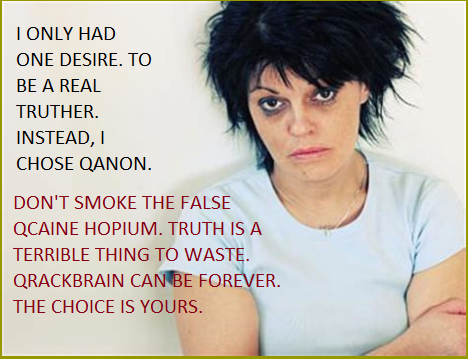 Stop selling Q please. For every reason that has been pointed out over and over. This has no business being a sticky. This sub's a joke. The deception is in WHO the truth gets blamed on. Q is the biggest PSYOP of the last six years. This is professional grade top grade propaganda. Your government is creating a hero for you named Q. Get it? Top kek, how many times did you reply on this post? Spam much? Standard Qber answer >>> "all those that disagree with us are shills or alts." Its all you guys use, because its all you got, because you Qbers don't deal in real information. >Top kek, how many times did you reply on this post? Spam much? Standard Qber answer >>> "all those that disagree with us are shills or alts." Its all you guys use, because its all you got, because you Qbers don't deal in real information. Bill Clinton encouraged Donald Trump to run for President during a phone call before he decided to run for president.